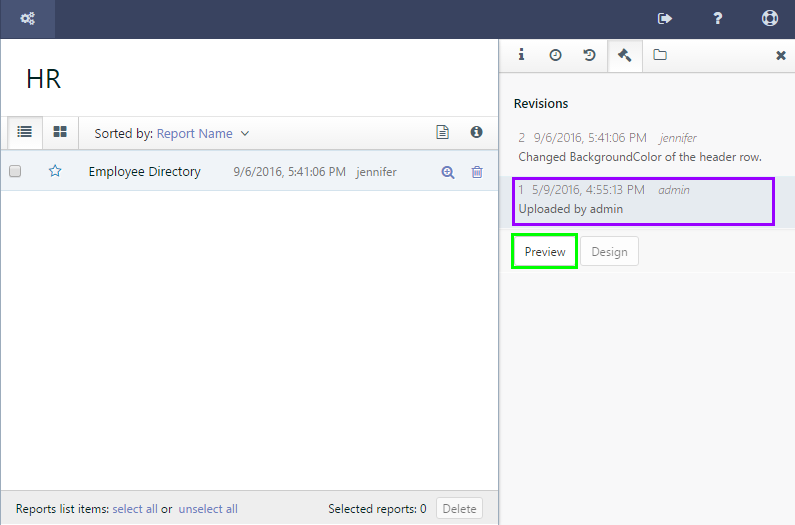 In this section, we'll log into the Report Portal and view the report that we modified in Editing Server Reports. Also, we'll check out the report history and how to revert to a version of the report from before our changes. 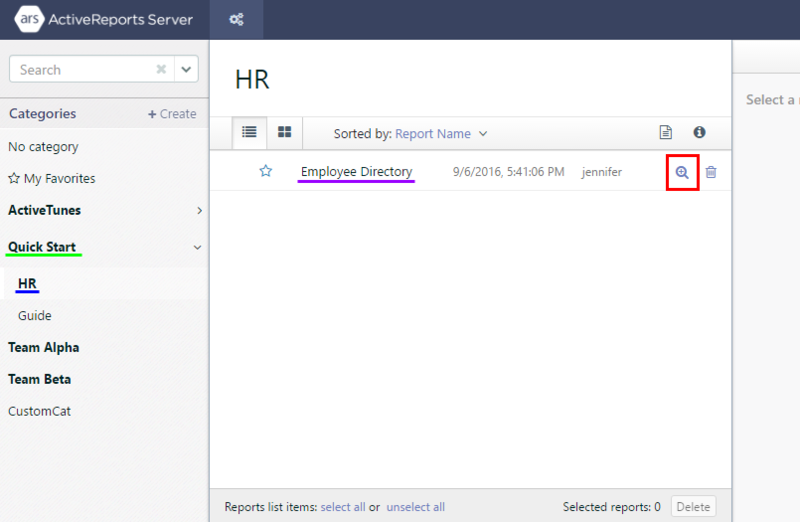 First, let's log into the Report Portal and view the report that we changed. 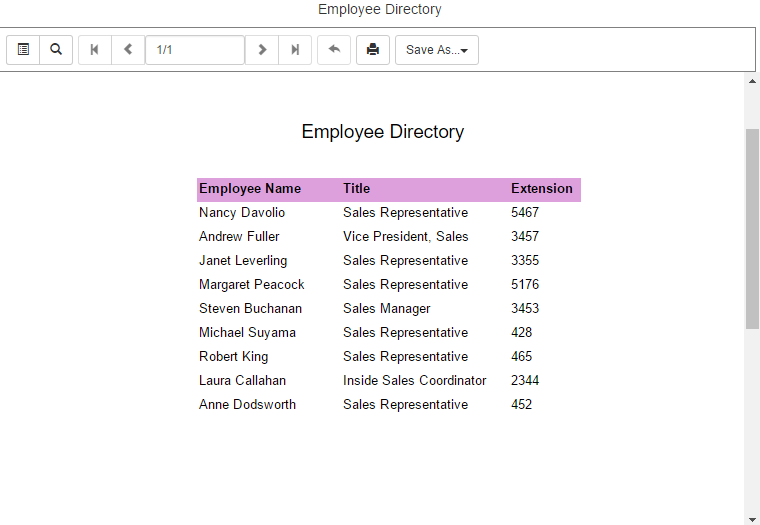 (If you need a reminder on how to do this, see Find and Display Reports.) 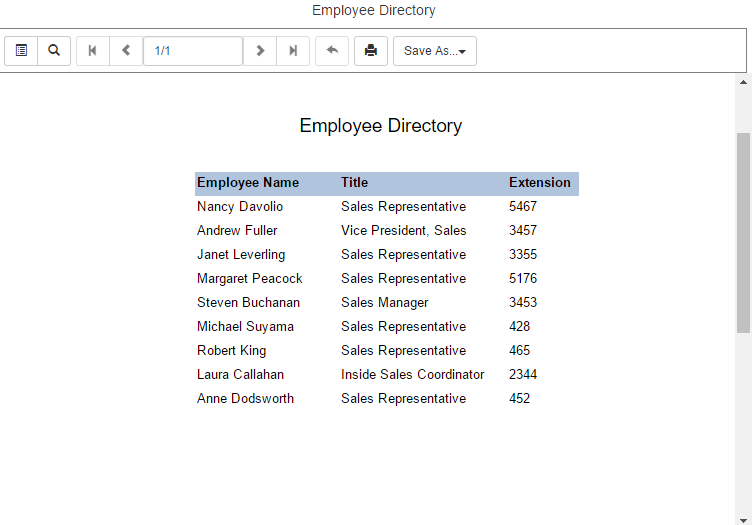 Log in as jennifer, and in the left pane, expand the Quick Start category and click HR to display the Employee Directory report. Click the Preview icon to the right of the report to see the edits we made in the designer (changing the background color of the header row) reflected in the report. A new tab opens to show the report in the viewer. 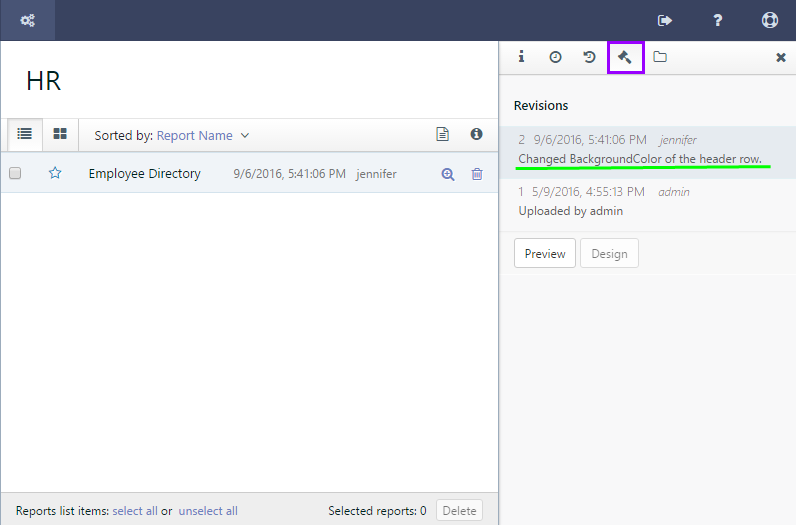 Back in the Report Portal, in the right pane, click the Revisions icon (the gavel). Here you can see a list of all revisions of the report along with who made them and any description added. In the Revisions tab, select the revision marked 1. Click the Preview button and you can see the old background color from before we changed it.